What about vinegar & water? Tips & techniques for oiled floors, not coated. This page is all about how to clean hardwood floors no matter what the finish. -You have a newly refinished or installed wood floor and you want to take good care of your investment. -What you've been doing isn't working. Floor owners often receive cleaning tips from well-meaning folks at the store or on TV who have never seen your floor and assume you have a polymerized coating over it. The cleaner they recommended leaves a residue that never looks clean, or at least, not for very long. because they act as magnets for more dirt. Murphy's Oil Soap is notorious for this. I know, I know. Mom used it, right? And you love the smell, right? I know I'll find Murphy's Oil Soap under the sink or in the pantry. I don't subscribe to the theory that Murphy's contaminates the surface and inhibits adhesion of the next top coat on a poly floor. It does, however, certainly increase the number of cleanings needed and, depending on the light, will affect the appearance of the floor's sheen. no matter what. You do not want moisture getting down in between the boards any more than you have to. Hyperactivity from moisture can cause fractures. Serious flooding can loosen a nailed down floor and cause squeaks. Floors with deep scratches or little finish will turn gray from moisture. 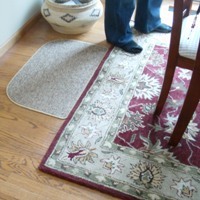 Like Norwex, other microfiber mops minimize residue and moisture, too. But the Norwex mop then sanitizes itself between uses with a built in anti-microbial component that never washes out. It's ultra absorbency keeps your cleaning process as dry as possible, which is important, regardless of your finish. 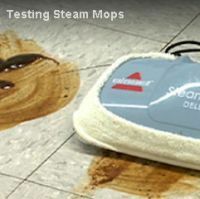 True microfiber, not cheap microfiber, CUTS the sticky, greasy, grimies of even a kitchen with just a lightly damp mop. How to avoid grimy corners? Find a more neutral pH cleaner. The "sticky greasies" dissolve and then lift onto the applicator. All retail wood floor cleaners have a neutral pH, or something very very close. 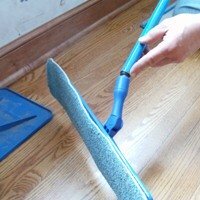 First and foremost, upgrade to microfiber mops, as soon as possible. and say goodbye to grimy corners. picking it up off the surface. Grimy corners result. These are NOT polymerized shells, so whatever you use must replenish and/or rejuvenate the finish. Each oil manufacturer will have a maintenance oil and probably a soap. I am not big on the soaps, as you already know, but that bias pertains to coated floors, mostly. Soaps on oiled floors tend to incorporate themselves into the oil finish, rather than just sitting on top of a plastic coating. If the color is gone from the wood, then the manufacturers maintenance oil must be applied very soon and allowed to fully dry. Yes, the goal is to clean the surface of these floors, just keep in mind that the surface is wood. 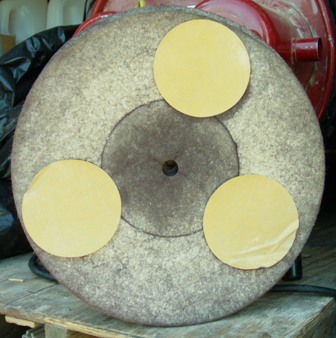 There is nothing between you and the wood, so the cleaning product and process must be wood-friendly. 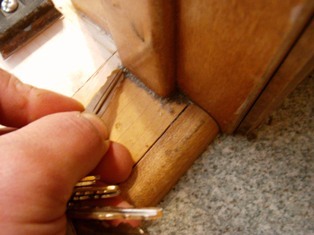 Water and wood don't like each other, and yet the use of water is unavoidable when cleaning. as well as allergens and microbes. That's how to clean hardwood floors regardless of the finish. 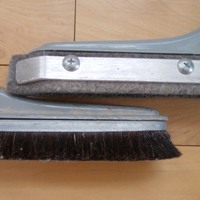 Use a vacuum for larger debris.